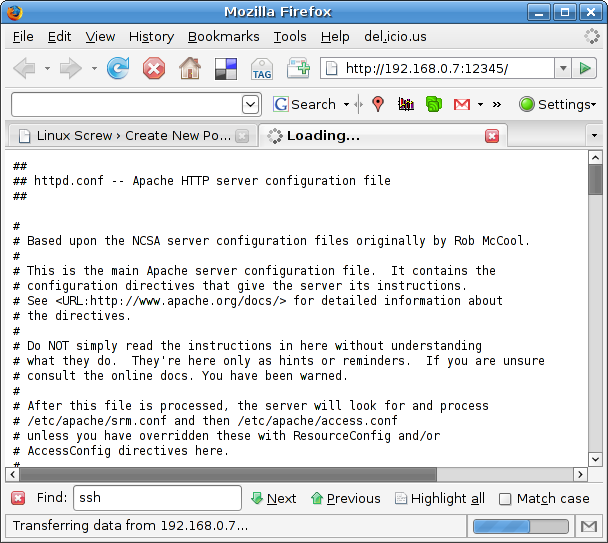 There are many ways to transmit files between computers over the heterogeneous network (Linux, Windows, Apple MAC and other systems). I used to run SCP for my every day administrative tasks, especially when client SCP utility is available for Windows too. I think that those headers are just directive for our browsers. The browser show everything it receive, except headers, and you have written it plain text. I enjoy you because of your own labor on this blog. My mum enjoys engaging in investigations and it's really obvious why. Many of us notice all of the powerful way you make worthwhile ideas via your web blog and attract response from some others on the subject while our simple princess has been studying a lot of things. Take advantage of the remaining portion of the new year. You are always carrying out a really great job.